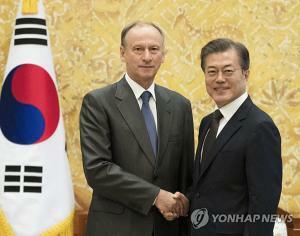 South Korea's top diplomat said Wednesday that the fate of two key inter-Korean projects -- the Kaesong industrial park and Mount Kumgang tours -- will be decided in talks between North Korea and the United States. On early incentives considered for North Korea, Foreign Minister Kang Kyung-wha cited the declaration of an end to the 1950-53 Korean War, humanitarian assistance and the opening of a standing communication channel between Pyongyang and Washington. 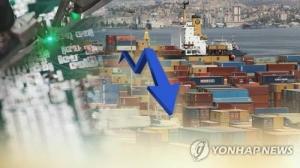 "For now, our government is not at a stage to review the resumption of the Kaesong Industrial Complex and the Mount Kumgang (tour program)," Kang said at a press conference. "I think, eventually, a specific result will be made at the North Korea-U.S. bargaining table." Connected with a wide web of sanctions against Pyongyang, it's a matter that requires "various aspects of review," she added. The future of the cross-border programs, suspended due to earlier tensions, has again drawn keen public attention in the wake of North Korean leader Kim Jong-un's New Year's Day address. He said his regime is willing to restart the projects with no preconditions. 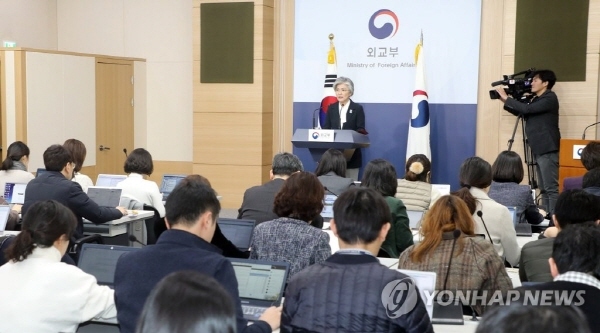 The minister made it clear that South Korea is hoping for a "comprehensive" deal on denuclearization and "phased" implementation. 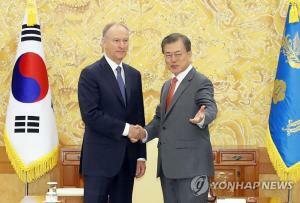 She dismissed speculation that Seoul and Washington have divergent goals. President Donald Trump often touts halts to North Korea's nuclear and missing testing as a feat. Secretary of State Mike Pompeo also emphasized the need to "continue to decrease the risk to the American people." "Reducing the threat from North Korea, whether that's by our success to date in stopping their missile testing, stopping their nuclear testing -- those are the important elements," the secretary said in a recent Fox News interview. 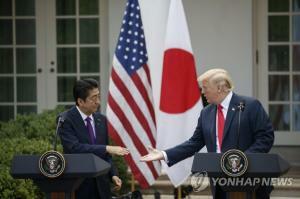 Some South Korean news outlets construed the comments as suggesting a shift of Washington's focus toward the elimination of Pyongyang's intercontinental ballistic missiles (ICBMs) away from denuclearization, apparently a more difficult aim. Kang said she and Pompeo agreed that "complete denuclearization" is a shared goal. Both of them plan to attend the World Economic Forum to be held in Davos, Switzerland, next week. Kang said she is pushing for a separate meeting with Pompeo there, but no exact schedule has been set yet. Pompeo is expected to sit down with a top North Korean envoy first in Washington, D.C.
Kim Yong-chol, vice chairman of the ruling Workers' Party Central Committee, will reportedly arrive in the capital Thursday (local time) to work out the details of another summit between the two sides. 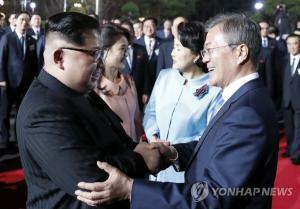 Kang wouldn't be drawn into a question about whether Kim's visit suggests that they have reached a de facto agreement on the date and location of the summit and agenda items. 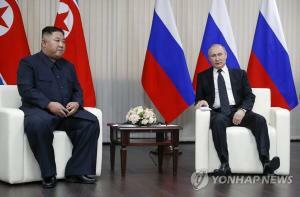 Reaffirming the government's resolve to strengthen partnerships with other regional powers, Kang said Chinese President Xi Jinping and Russian President Vladimir Putin will likely visit South Korea this year. Touching on a history row with Japan, the minister said the government is planning to hold an international forum in the first half of the year on victims of Japan's wartime sexual enslavement. They are euphemistically called "comfort women." "Specifically, there are U.N. agencies supporting the victims of such wartime sexual violence," she said.